Wayanad, One of the fourteen districts in Kerala (India) is situated in an elevatedpicturesque mountainous plateau in Western Ghats. It lies between north latitude 11degree 26’28’’ and 11degree 48’22’’ and east longitude 75 degree 46’38’’ and 76 degree 26’11’’. There is a land not far from Calicut, the city of Zamorins, yet a world apart from Kerala'sagricultural and industrial epicentres. It is a quiet place where scenic beauty wild life andtraditional matter, simplicity is a virtue and beauty still blossoms from the mountainous horizon and from the green glaze of alluring vegetation. This is Wayanad - the green paradise - the border world of greener part of Kerala. Clean and pristine, enchanting and hypnotising this land has a history and mystery, culture and social epistemology yet to be discovered. Located at a distance about 76 km. from the sea shores of Calicut in the Western Ghats, this station is full of plantations, forests and wildlife. Wayanad hills are contiguous to Mudumala in Tamil Nadu and Bandhipur in Karnataka, thus forming a vast land mass for the wild life to move about in its most natural abode. 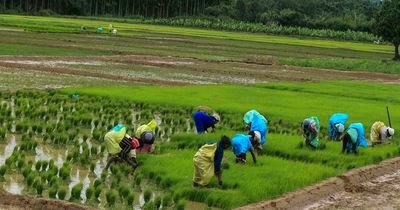 The name Wayanad has been derived from the expression 'Vayal nadu' - the village of paddy fields. In the ancient times this land was ruled by the Rajas of the Veda tribe. In later times, Wayanad came under the rule of Pazhassi Rajas of Kottayam royal dynasty. When Hyder Ali became the ruler of Mysore, he invaded Wayanad and brought it under his way. In the days of Tipu, Wayanad was restored to the Kottayam royal dynasty. But Tipu handled entire Malabar to the British after the Sreerandapattam truce that he made with them. This was followed by fierce encounters between the British and Kerala Varma Pazhassi Raja of Kottayam. Even when the Rajah was driven to the wilderness of Wayanad he waged several battles with his Nair and Kurichia-Kuruma tribal soliders against the British troops and defeated the latter several times through guerilla type encounters. The British could get only the dead body of the Rajah who killed himself somewhere in the interior forest. Thus Wayanad fell into the hands of British, and with it began a new turn in the history of this area. The Britishers opened up the Plateau for cultivation of tea and other cash crops. Roads were laid across the dangerous slopes of Wayanad from Calicut and Telicherry. These roads were extended to the city of Mysore and to Ooty through Gudalur. Roads facilities provided opportunities for the people of outside Wayanad to flow and settle to these jungle regions. 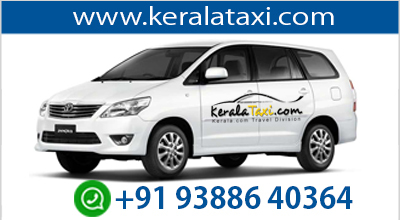 When the state of Kerala was formed in 1956, Wayanad was part of Kannur district. 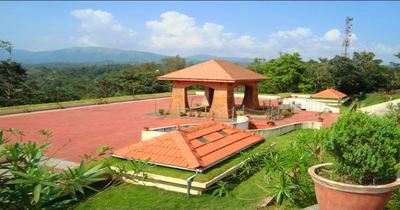 Later South Wayanad was added to Kozhikode district and then on November 1, 1980 North and South Wayanad joined together to form the present Wayanad district. This mountain district is in many ways the most picturesque in the state, with its rolling hills covered with tropical rainforest. Wayanad also contributes richly to its fortunes, thanks to the flourishing cultivation of many spices, as well as Tea, Coffee and Cocoa. Wayanad is situated at a height of 700 to 2100m above sea level and is home to many species of animal and plant life. Temperatures range from 12 to 25 degrees centigrade. This district also has the added advantage of linking Kerala with the golden triangle of South India : Bangalore, Mysore and Ooty. This high altitude district is characterised by the cultivation of perennial plantation crops and spices. The major plantation crops include coffee, tea, pepper, cardamom and rubber. Coffee based farming system is a notable feature of Wayanad. Coffee is grown both as pure crop and as mixed crop along with pepper. Pepper is grown largely along with coffee in the north eastern parts of the district, especially in Pulpally and Mullankolly areas. Coffee in Wayanad (66,999 ha.) shares 33.65 per cent of the total cropped area in the district and 78 per cent of the coffee area in the state. Other major crops are rubber(63,015 ha. ), coconut(59,452 ha. ), cardamom (38,348 ha. ), tea (31,792 ha.) cassava and ginger. A recent increase in the area under coconut cultivation is noticed in the lower elevations. Paddy is cultivated in 22,772 hectares of land. The rice fields of Wayanad are in the valleys formed by hillocks and in majority of paddy lands, only a single crop is harvested. Ginger cultivation in Wayanad has also substantially increased in recent times and the ginger produced is mainly marketed in the form of green ginger. Homestead farming assumes importance in this district. The average size of holdings are 0.68 ha. A variety of crops including annuals and perennials are grown in these small holdings. The crops include coconut, arecanut, pepper, vegetables, tuber crops, drumstick, papaya, etc. and fruit trees like mango and jack. The crop patterns/crop combinations prevelant in this district are not based on any scientific norms. Therefore scientific cropping patterns suitable for the agro-ecological situation is to be recommended. Accoring to 1991 census, is 6,72,128 of which male population is 3,41,958 and female 3,30,170. The density of population is 316.2 per sq. kilometres. 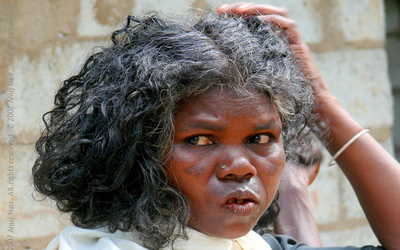 The population of scheduled tribes is 1,14,969 and that of scheduled caste is 27,835. Strictly speaking, there is no urban population in Wayanad. However, life in Sulthan Bathery, Mananthavady and Kalpetta is in the process of gaining urban status. The decadal growth rate in the population of Wayanad was 59.17 per cent in 1941-51, 62.60 per cent in 1951-61, 50.35 per cent in 1961-71 and 33.71 per cent in 1971-81. In the first three decades of this century, the growth of population in Wayanad was less than ten per cent. This shows that there was an influx of settlers to Wayanad after the Second World War. The economic slump, difficulties and miseries creeping as a result of war into the life of common people, compelled them to seek 'pastures anew' on the virgin soil of Wayanad from all parts of Kerala and Karnataka. In the first year of settlement, thousands succumbed to malaria and the attack of wild animals. Those who survived these and the cold conditions, cleared the forests and transfomed Wayanad into a paradise of prosperity. Total number of workers in the district is 2,27,453. Out of them 53,773 are females. There are 40,729 cultivators of which the male numbers 36,063 and females 4,666. Total number of labourers are 74,813 of which 26,907 are females. The marketing of coffee was fully regulated by the Coffee Board till 1992 and the entire coffee grown in the district had to be pooled to the Board.But in the Coffee Policy of 1995 - 96 , the Government exempted small scale growers possessing land less than 10 hectares from the obligation of pooling.Those growers with more than 10 hectares of coffee plantation were obliged to provide 60 percent of their produces to the Coffee Board.But Government of India recently announced the abolition of the pooling system for coffee altogether from 14th September 1996 and coffee growers are now free to market either in the domestic market or export. Pepper is marketed mainly as dired berries. The different agencies engaged in the marketing of the produce are hill produce merchants , marketing socities, commission agents and exporters.Being an export oriented commodity, pepper prices show frequent fluctuations depending on the international prices prevailing for the commodity from timt to time.Ginger is mainly marketed as green ginger.Cardamom is sold at auction centres.The traders are licensed by the Spices Board and they participate in the different marketing centers for auction.Rubber is a controled commodityand is mainly marketed in the form of smoked rubber sheets.A large number of private dealers as well as the primary rubber marketing societies under the Rubber Marketing Federation , operate at the village level for the purchase and sale of commodity.